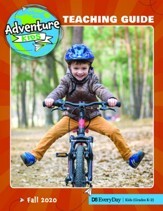 Adventure Kids helps you shape the spiritual lives of children in Grades K - 1. 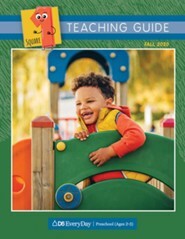 This early elementary curriculum is packed with the necessary items to capture and retain the attention of students. Adventure Kids teaching is built around the CLEAR Learning System, that emphasizes application and response to God's Word: Connect, Learn, Explore, Apply, Respond. Field Notes are a weekly link between class and home. 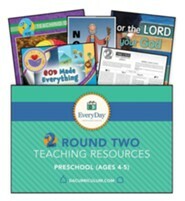 These reproducible sheets are designed to reinforce weekly lessons and themes through the use of age appropriate activities that are used in the class and home. 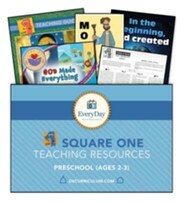 One side offers a worksheet activity related to the lesson to be used in the classroom. The other side is intended to be used at home. 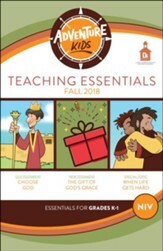 It includes the Scripture text, a summary of that day's lesson, and activities for the families to do together to reinforce the application and response of what was learned. 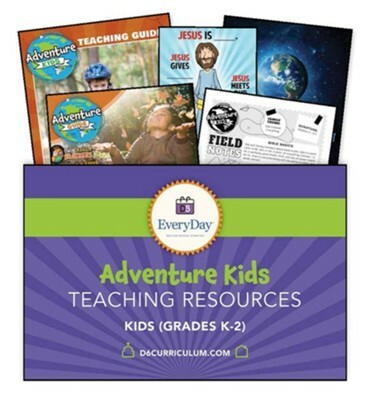 I'm the author/artist and I want to review D6: Adventure Kids Teaching Essentials for Grades K-1 (KJV), Fall 2019.